Monero is a decentralized cryptocurrency, meaning it is secure digital cash operated by a network of users. Transactions are confirmed by distributed consensus, and then immutably recorded on the blockchain. Third-parties do not need to be trusted to keep your Monero safe. Using the power of a distributed peer-to-peer consensus network, every transaction is cryptographically secured. Individual accounts have a 25 word mnemonic seed displayed when created, which can be written down to back up the account. Account files are encrypted with a passphrase to ensure they are worthless if stolen. Monero uses ring signatures and ring confidential transactions to obfuscate the amounts, origins, and destinations of all transactions. Monero provides all the benefits of a decentralized cryptocurrency, without any of the typical privacy concessions. 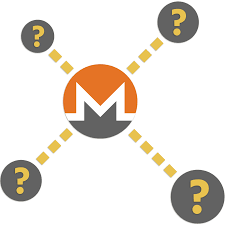 Monero uses a cryptographically sound system that allows you to send and receive funds without your transactions being publicly visible on the blockchain (the distributed ledger of transactions). This ensures that your purchases, receipts, and other transfers remain private by default. Read the reference on Wikipedia: Blockchain. Sending and receiving addresses as well as transacted amounts are obfuscated by default. Transactions on the Monero blockchain cannot be linked to a particular user or real-world identity. By taking advantage of ring signatures, a special property of certain types of cryptography, Monero enables untraceable transactions. This means it’s ambiguous which funds have been spent, and thus extremely unlikely that a transaction could be linked to particular user. Read the reference on Wikipedia: Monero. Mining is when computers solve math problems to create blocks. The math problems help distribute which miners create the next block. If one person or group is able to control a large portion of the mining network, then they will be able to create some attacks on the network. Mining is essential at preventing attacks on the network. Unlike Bitcoin and Bitcoin-derivatives Monero is based on an entirely new protocol – CryptoNote – which uses the Cryptonite hashing algorithm when mining. This algorithm is ASIC proof, meaning that it is profitable also mining it using only a common PC’s CPU or GPU. This makes it easier for people to make a small amount of Monero even without dedicated mining equipment and using a pool makes Monero mining profitable also with not much horse power. Read the reference on Wikipedia: CryptoNote, ASIC. MyMonero is a service providing free hosted Monero accounts. It was developed with the assistance of the Monero Core Team and is managed by Riccardo “fluffypony” Spagni, a member of the Monero Core Team. 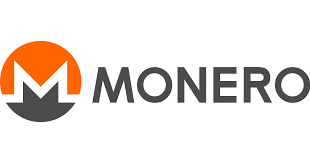 MyMonero provides secure, hosted Monero accounts in order to provide easy access to funds for those that would prefer not to run a full Monero client themselves, or for those on devices with limited resources. Read the reference on Wikipedia: Cryptocurrency. You can access your account on any device, as long as you have access to your private login key. MyMonero never knows your private login key, and is thus unable to spend your funds without your authorization. All of the private cryptography is done locally on your device. Cryptocurrency faucets are reward systems, in the form of a website or app, that dispenses rewards in the form of a cryptocoins. The visitors earn money to claim in exchange for completing a captcha or task as described by the website. There are also faucets that dispense other alternative cryptocurrencies and also Bitcoins. Read the reference on Wikipedia: Bitcoin faucet. Making a healthy profit from a faucet site on its own is a lot harder than just making a popular faucet, but it is still possible. There are a lot of these sites around today, so it’s a very competitive market, and earning enough from advertising to cover the cost of the coins you are giving away and hosting costs is nearly impossible.